that revisits four French Classics. Widely used at London Fashion Week, on celebrity clients and music videos, Rocco's collections remain ahead of trend, inspiring seasons. The polishes themselves are formulated carefully to ensure a quicker-drying, longer lasting finish. These polishes are without DBP, toluene and formaldehyde. Rococo have a selection of colours and are high-pigmented. Not forgetting their luxury nail lacquer ' Gold Leaf ' at a hefty £35 price tag, it's luxury nails at it's best. The colour in the bottle looks very pale, bordering a washed out lilac. The first layer is very sheer and a little streaky. The second coat was a lot better with coverage. 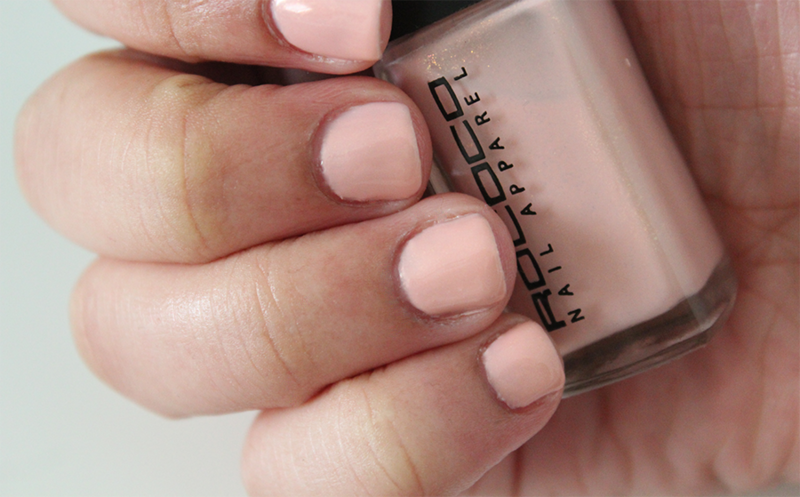 A dainty shade that's great for those who like pinks and nail colours that don't shock. Shimmering apricot that's sassy and chic. I like this shade, apricot shade that does shimmer but it didn't pick up on camera but you can see it in the bottle. This needed two coats also, they are all opaque with the first coat and the second one gives a nice coverage. Apricot is a nice alternative to pink in my eyes, still get that softness, I love apricot tones on various skin tones. The shades lasted about 3 days without chipping, with my hands always submerged in water, in a hutch, in bags all day it's a given that nail polish just doesn't last. 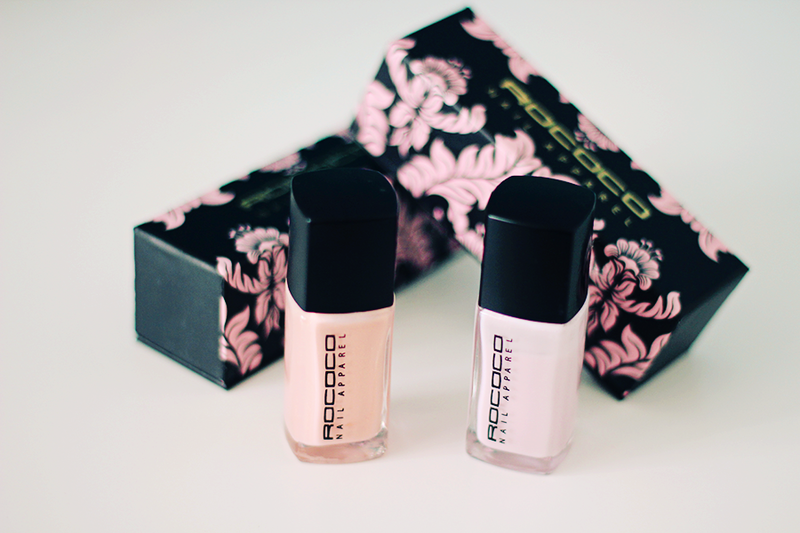 I like the shades that Rococo has to offer and they do dry quite quickly but not so dry that I can be wreckless. 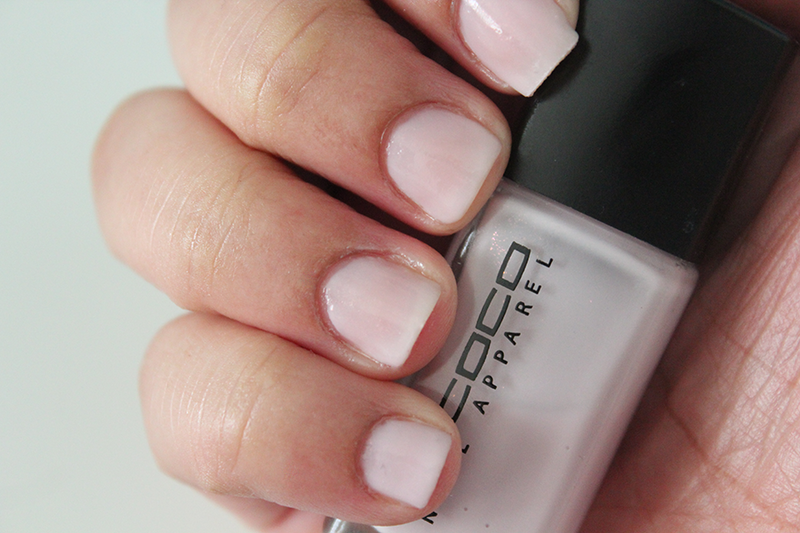 What's your opinion on these shades, have you tried Rococo? I have a polish from this brand that I have never tried (*holds head down in shame)...I must get it out and give it a try. Both these shades are lovely though..Amelie is esp pretty if you ask me!